Why should I buy an Fx2100-basic scanner when I can find other entry-level fingerprint scanners? Are Fx2100-basic and Fx3100 "FBI compliant" scanners? Are Fx2100-PIV, HiScan and HiScan PRO "FBI compliant" scanners? What is preferable, optical or capacitive scanners? Is it possible to use Biometrika’s scanners with other producer’s recognition algorithm? Is it possible to use Biometrika’s algorithm (FxISO SDK) with other producer’s scanners? Is it possible to use Biometrika’s algorithm (FxISO SDK) with images generated/acquired with FxLock and FxIntegrator? What is the difference between FxISO SDK and FxISO SDK light? Is it possible to reconstruct a fingerprint image from a template? Is integration of biometric information with pre-existing database possible? How fingerprint information is stored? Does Fx2100 and HiScan work under Linux? Are Biometrika’s scanners Raspberry Pi compliant? Does Fx2100 and HiScan work under other ARM platforms? What is the typical configuration of a centralized access control system realized through FxLock terminals? Can FxAccessControl be interfaced with third party access control applications? Is Biometrika an importer/distributor of products manufactured abroad? Does Biometrika retail to end users? Does Biometrika develop customized software solutions and/or install its products at the customer site? How can I order Biometrika's products? The quality of the fingerprint scanners available on the market differs radically. A likely example are the digital cameras: their market price goes from few hundreds to thousands of euros: all of them can take digital pictures, but their quality is totally different. Biometrika’s scanners are the cheapest products in the professional segment of the market. Please, see a technical evaluation of fingerprint scanners for more technical details on this topic. Are Fx2100-basic and Fx3100 "FBI compliant scanners"? Are Fx2100-PIV, HiScan and HiScan PRO "FBI compliant scanners"? Optical devices offer a higher sensing area and a better image quality. Capacitive devices are very sensible from the point of view of electrostatic discharges, they last less time and need more maintenance. One of the few advantages of the capacitive sensors is that they are suitable to be integrated in very small devices. Please, refer to a technical evaluation of fingerprint scanners for further details on this topic. Yes, it is, by using FxISO SDK Light to acquire the images from Biometrika’s scanners. No, it is not. FxISO SDK only accepts images taken with Biometrika’s sensors. In fact, images are “watermarked” by the sensor: in this way the FxISO SDK can always verify the image origin thus preventing software attacks that try to replace the original images with fake ones. Yes, it is. 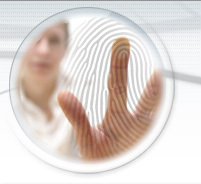 FxISO SDK is compliant with images and templates generated by all the Biometrika’s devices. FxISO SDK Light can only drive Biometrika scanners and acquire fingerprint images through them but neither transform them in mathematical models (templates), nor perform the matching. No, it is not. Fingerprint templates created with both Biometrika's hardware (FxLock, FxIntegrator) and software (FxISO SDK), do not allow the reconstruction of the original fingerprint image. Moreover, templates are always encrypted. Yes, it is, in case the software that use FxISO SDK can have access to the database. Through FxISO SDK, fingerprint images acquired with Biometrika scanners can be saved on file (TIF format), for further elaboration or later use. Note that storing images is NOT necessary to perform the matching: using the templates extracted (about 600 bytes) is enough. Do Fx2100 and HiScan work under Linux? Biometrika scanners are fully compliant with Linux: drivers are available for different Linux kernels, both in executable form and source code. Linux versions of FxISO SDK and FxISO SDK Light are available, allowing the development/integration of any applications. However, Biometrika does not develop end-user applications for Linux: in fact FxLogon, FxSecure, FxSentinel and FxAccessControl work under Windows only. Fx2100 and HiScan drivers are available for Raspberry Pi: with FxISO SDK a full biometric solution can be deployed on this tiny platform. If the platform has a version of Linux with libUSB, drivers are available upon request. See examples of systems built with Fxlock units. FxAccessControl allows to export access records in several formats (txt, MS Excel, MS Access). These data can be used to feed third party applications (e.g., employees salary calculated according to their effective working time). When a more complex integration between FxLock terminals and third party devices is required, instead of FxAccessControl we recommend using FxGate SDK. No, it is not. All Biometrika hardware and software products and parts (including optics, mechanics, electronic boards, firmware, etc.) are completely designed and developed in house. For this reason, Biometrika's products can be modified to suit the particular needs of its customers. Biometrika's typical customers are companies and integrators (i.e., business market), rather than private persons. Usually Biometrika does these activities through its partners (software houses, integrators, etc.). First, please check if there is one of our partners in your country. Otherwise, you can buy directly from us by sending an e-mail or fax (see contacts). Please, do not forget to add your Company profile: name, address, phone and fax number. This help us to provide you a better service.